There is a fascinating juxtaposition in our sport regarding Return Games Won. If you analyse the best player in this specific metric at the end of each season since 1991, you would see there is real improvement being made in recent years on the return side of the net. But if you expand the data set to include the leading 40 players each season with Return Games Won, you would come to a very different conclusion. 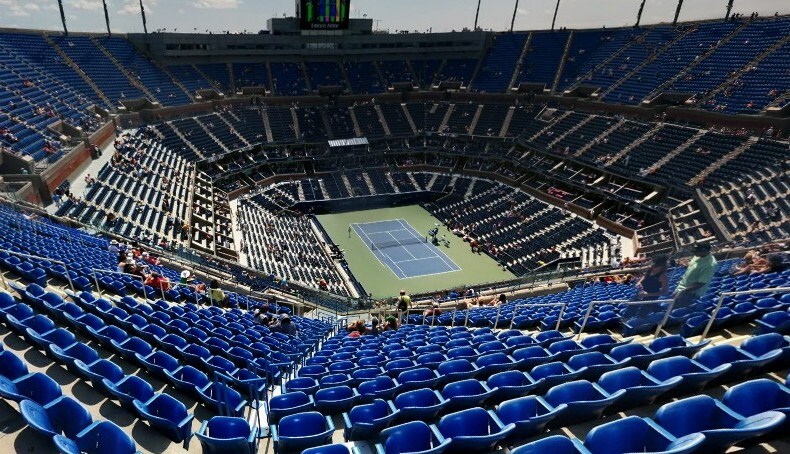 An Infosys ATP Beyond The Numbers analysis of Return Games Won since 1991 (when statistics were first kept in tennis) to this season uncovers two very conflicting results. The line in the sand is very clearly at the turn of the century. The leading six seasons for the player that led the tour with Return Games Won have all been since 2000, with three of them since 2010. Novak Djokovic’s breakout season in 2011 – when he won three majors and five ATP World Tour Masters 1000s – was underpinned by his tour-leading 38.84 Return Games Won percentage. You would naturally think because these players are putting up ever-increasing totals that the same must be for the rest of the tour. It’s simply not so when you look at the bigger data set. This is much more an examination of the depth of our game regarding proficiency breaking serve. This analysis is an average of the leading 40 players with Return Games Won each season since 1991, and it uncovers a vastly different result than the examination of the season’s tour leader. All six of the leading categories now occur before the turn of the century, with 1991 – the first year that records were kept – producing the highest Return Games Won percentage by the leading 40 players. When you compare apples to apples – with the Top 40 Return Games Won average from the past six years (2013-18) and the first six years (1991-96) – you uncover just how big the disparity has become. A substantial 5.01 percentage point gap exists between the two periods. One conclusion that we may draw is that while some players are definitely breaking serve more often, not everyone is progressing at the same rate. And when you look at the players bucking the overall downward trend in recent years, it reveals one important reason why they are finding separation from their opponents. Infosys ATP Beyond The Numbers writer Craig O’Shannessy is a member of Novak Djokovic’s coaching team. Third seed Stefanos Tsitsipas lost just eight of his first-service points to knock out John Millman of Australia 6-4, 3-6, 6-3 in two hours and 20 minutes for a place in the Intrum Stockholm Open quarter-finals on Wednesday. The Next Gen ATP Finals qualifier, who reached the Barcelona Open Banc Sabadell and Rogers Cup finals (l. to Nadal both times) this year, will next play eighth-seeded Spaniard Fernando Verdasco or Philipp Kohlschreiber of Germany. Earlier in the day, seventh seed Denis Shapovalov, who is also making his debut at the ATP World Tour 250 tournament, beat fellow Canadian Peter Polansky 6-3, 5-7, 7-5 in two hours and 33 minutes. Shapovalov led 3-1 in the deciding set, but recovered from a 4-5 deficit to win 12 of the last 14 points. Jack Sock progressed to the quarter-finals after two hours and 22 minutes, edging home favourite Elias Ymer 7-5, 3-6, 6-3. The two-time runner-up, now 13-5 in the Swedish capital, won 83 per cent of first-serve points to reach his first tour-level quarter-final since Houston in April. In the final match of the day, South Korea’s Hyeon Chung beat American Denis Kudla 6-3, 6-3 and will next meet Lukas Lacko or second seed Fabio Fognini. Welcome to the 2018 ATP World Tour Awards Presented by Moët & Chandon, where we recognise outstanding players and tournaments. View the nominees for the player-voted categories and cast your votes now for ATPWorldTour.com Fans’ Favourite presented by Moët & Chandon. Winners for the 2018 ATP World Tour Awards Presented by Moët & Chandon will be announced ahead of the Nitto ATP Finals. ATPWorldTour.com Fans’ Favourite presented by Moët & Chandon (Singles, Doubles): The singles player and doubles team receiving the highest number of votes from ATPWorldTour.com fans from now through 2 November. 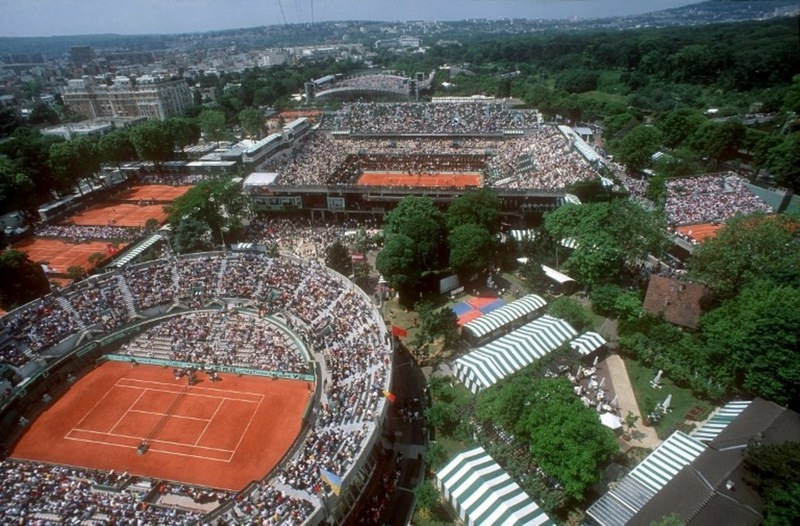 ATP World Tour No. 1: The player who ends the year as World No. 1 in the ATP Rankings. 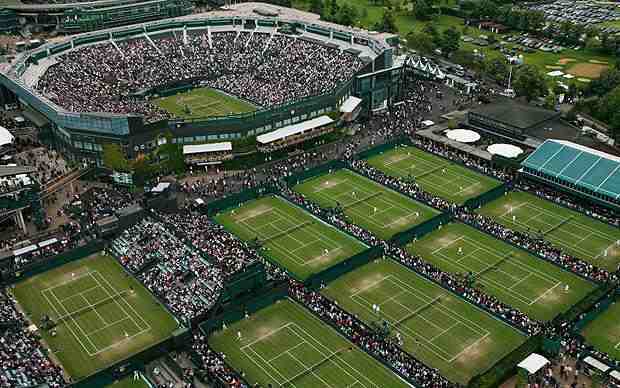 ATP World Tour No. 1 Doubles Team: The team that ends the year as World No. 1 in the ATP Doubles Team Rankings. Comeback Player of the Year: The player who has overcome serious injury in re-establishing himself as one of the top players on the ATP World Tour. Most Improved Player of the Year: The player who reached a significantly higher ATP Ranking by year’s end and who demonstrated an increasingly improved level of performance through the year. Newcomer of the Year: The #NextGenATP player who entered the Top 100 for the first time in 2018 (ATP Ranking as of 15 October) and made the biggest impact on the ATP World Tour this season. Stefan Edberg Sportsmanship Award: The player who, throughout the year, conducted himself at the highest level of professionalism and integrity, who competed with his fellow players with the utmost spirit of fairness and who promoted the game through his off-court activities. Tournaments of the Year: The tournament in its category that operated at the highest level of professionalism and integrity and which provided the best conditions and atmosphere for participating players. ATP Coach of the Year: Nominated and voted on by fellow ATP coach members, this award goes to the ATP coach who helped guide his players to a higher level of performance during the year. Arthur Ashe Humanitarian Award: The person who has made outstanding humanitarian contributions. Previous winners include former South African President Nelson Mandela, Arthur Ashe, Federer, Nadal, Novak Djokovic, Andy Murray and 2017 recipient Horia Tecau. Ron Bookman Media Excellence Award: The journalist who has made significant contributions to the game of tennis. Karen Khachanov was forced to work hard for his opening win at the VTB Kremlin Cup on Wednesday, saving 12 of 13 break points en route to a 6-4, 7-5 victory over Lukas Rosol. The third seed was regularly put under pressure by the Czech qualifier in front of his home crowd, but held his nerve in important moments to advance after 89 minutes. Khachanov, who reached the quarter-finals in Moscow on his debut in 2013, is searching for his second indoor hard-court title of the season after triumphing at the Open 13 Provence in February (d. Pouille). The Russian wild card improves to 36-21 at tour level this season and will face Nick Kyrgios or Mirza Basic for a spot in the semi-finals. Khachanov has never met Kyrgios or Basic at a tour-level event. Belarusian Egor Gerasimov reached his second tour-level quarter-final of the season, backing up his victory over defending champion Damir Dzumhur with a 6-4, 6-4 triumph against Benoit Paire. Gerasimov, who fired eight aces in the 72-minute clash, will meet Adrian Mannarino in the last eight. The Frenchman was untouchable on serve against top seed Marco Cecchinato, hitting 11 aces and winning 94 per cent of his service points (32/34) to upset the top seed 6-2, 6-3. Ricardas Berankis saved five match points to return to the quarter-finals, beating Aljaz Bedene 3-6, 7-6(3), 7-6(5). Last year’s runner-up needed two hours and 38 minutes to complete an unlikely comeback and will meet second seed Daniil Medvedev or Dusan Lajovic in the quarter-finals. France’s Pierre-Hugues Herbert also advanced, defeating qualifier Alexander Bublik 6-3, 6-4 in 70 minutes. The Shenzhen Open finalist will face Italian Andreas Seppi in the second round. Bublik was bidding to reach the last eight in Moscow for the third straight year. Making his first appearance since lifting the trophy in 2016, Richard Gasquet made a winning return to the European Open on Wednesday, defeating Czech Jiri Vesely 6-3, 4-6, 6-3. The 2016 champion, now 5-0 at the Belgian tournament, landed 11 aces and won 72 per cent of service points to defeat Vesely for the second time in as many FedEx ATP Head2Head meetings. Gasquet is searching for his second tour-level trophy of the season after winning his 15th title at the Libema Open in June (d. Chardy). Gasquet will face Jan-Lennard Struff for a place in the semi-finals. The German reached his fourth tour-level quarter-final of the season, after navigating a final-set tie-break, to beat Spaniard Feliciano Lopez 6-1, 3-6, 7-6(3). Both Struff and Lopez served 20 aces in the one-hour, 34-minute contest. Gilles Simon notched his 30th tour-level win of the season, beating Mackenzie McDonald 6-1, 6-1 in 63 minutes. The 33-year-old Frenchman, who has won titles in Pune and Metz this season, won 19 of 23 first-serve points and saved both break points he faced to set a quarter-final clash with second seed Diego Schwartzman or Cameron Norrie. British qualifier Norrie advanced to the second round after a 6-3, 6-2 win over Marcel Granollers of Spain. Lucky loser Salvatore Caruso also reached the second round, beating Yuki Bhambri 7-6(6), 5-7, 6-1 in two hours and 19 minutes. French players have won both previous editions of the European Open. After Gasquet’s title run in 2016, Jo-Wilfried Tsonga defeated Diego Schwartzman to lift the 2017 trophy. The 2018 Next Gen ATP Finals will feature eight up-and-coming players whose potential rise to the top of the ATP World Tour is still just beginning. But, over the past 11 months, perhaps no one’s climb has been more meteoric than Alex de Minaur’s. In December, the #NextGenATP Aussie was No. 210 in the ATP Rankings. He reached a career-high No. 31 this week, and De Minaur could be even higher when he is scheduled to make his debut at the Next Gen ATP Finals, to be held 6-10 November in Milan. In the Citi Open semi-finals in August, De Minaur was staring down four consecutive match points, down 2/6 in the second-set tie-break against 2017 Next Gen ATP Finals runner-up Andrey Rublev. 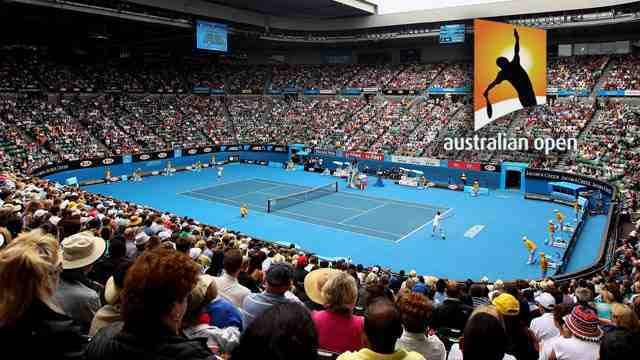 Yet the Aussie saved them all and reached the ATP World Tour 500-level final, beating the Russian 5-7, 7-6(6), 6-4. Watch De Minaur’s Comeback In D.C. The 19-year-old De Minaur became the youngest Washington finalist since Andy Murray in 2006. De Minaur fell to two-time champion Zverev in the final, which was the youngest ATP World Tour title match since Rafael Nadal, 20, and Novak Djokovic, 19, at the 2007 BNP Paribas Open in Indian Wells. If you were a young player looking for a mentor who’s been there and won those titles, you could do hardly do better than to have two-time Grand Slam champion Lleyton Hewitt, one of the toughest competitors in recent history, in your corner. The Aussie legend works with De Minaur on and off throughout the year, but especially during the Aussie swing, Grand Slams and Davis Cup ties. “He’s obviously been through everything that tennis has to offer, so he knows how to deal with so many different scenarios… how to deal with expectations and pressures and, just playing big guys. It’s all there. He gives me a lot of advice, and the only thing I do is take it all in,” De Minaur said. De Minaur, whose nickname is “Demon”, might be one of the fastest players on the ATP World Tour. He dances pretty quickly as well. De Minaur’s father, Anibal, is from Uruguay, and his mother, Esther, is Spanish. They own car washes and moved to Spain when De Minaur was five years old. The family, though, returned to Australia when he was 13, only to go back to Spain three years later. De Minaur represents his diverse background in tongue: He speaks English, Spanish and French. To start the year, De Minaur, then 18, made the Brisbane International semi-finals (l. to Harrison) and the Sydney International final (l. to Medvedev). He was the youngest player to reach semi-finals in consecutive weeks since Rafael Nadal at the 2005 Rolex Monte-Carlo Masters and Barcelona Open Banc Sabadell. The 19-year-old Shapovalov qualified for the second consecutive year. He fell just short of reaching the semi-finals at the Fiera Milano last year after a breakout season that saw him become the youngest ATP World Tour Masters 1000 semi-finalist in history (since 1990). The left-hander has backed up his 2017. He made another Masters 1000 semi-final in Madrid, becoming the youngest semi-finalist in tournament history. Shapovalov also reached the semi-finals at the Delray Beach Open and the Rakuten Japan Open Tennis Championships 2018 in Tokyo. De Minaur’s 2018 rise, however, might be the most drastic of anyone on the ATP World Tour. In December, the #NextGenATP Aussie was No. 210 in the ATP Rankings. This week, the 19-year-old reached a career-high No. 31 and could be even higher when he heads to Milan, as he’s defending only 30 points the remainder of the regular season. De Minaur, then 18, started the year by making the semi-finals at the Brisbane International (l. to Harrison) and the final at the Sydney International (l. to Medvedev). He was the youngest player to reach semi-finals in consecutive weeks since Rafael Nadal at the 2005 Rolex Monte-Carlo Masters and Barcelona Open Banc Sabadell. In August, the 19-year-old De Minaur became the youngest Citi Open finalist since Andy Murray in 2006. De Minaur fell to Zverev in the Washington final, which was the youngest ATP World Tour title match since Rafael Nadal, 20, and Novak Djokovic, 19, at the 2007 BNP Paribas Open in Indian Wells. Tiafoe reached two ATP World Tour finals and jumped more than 60 spots in the ATP Rankings this year, from No. 108 in January to No. 45 this week. In February, the 20-year-old won his maiden ATP World Tour title in Delray Beach, beating Juan Martin del Potro, 2017 Next Gen ATP Finals titlist Hyeon Chung, Shapovalov and German Peter Gojowczyk. Tiafoe became the first wild-card recipient to win the title in the tournament’s 26-year history, and he became the youngest American champion on tour since Andy Roddick, 19, at 2002 Houston. In May, on the Estoril clay, Tiafoe reached his second ATP World Tour final, falling to home favourite Joao Sousa. 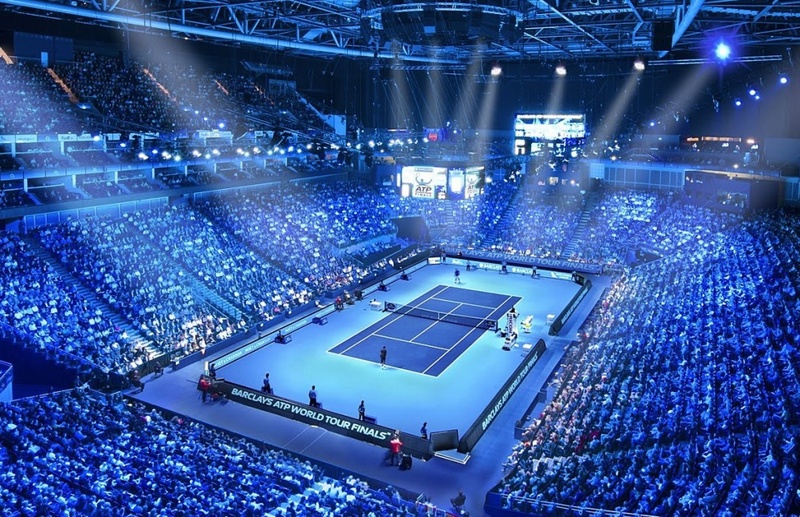 Eight of the world’s best 21-and-under players will compete at the Next Gen ATP Finals. The top seven spots will be determined by the ATP Race To Milan, which ends 29 October, while the eighth spot will be reserved for the winner of an all-Italian qualifier tournament to be held just prior to the Next Gen ATP Finals.